Based on Stephen King's novel, this was Cronenberg's first foray into mainstream horror filmmaking! 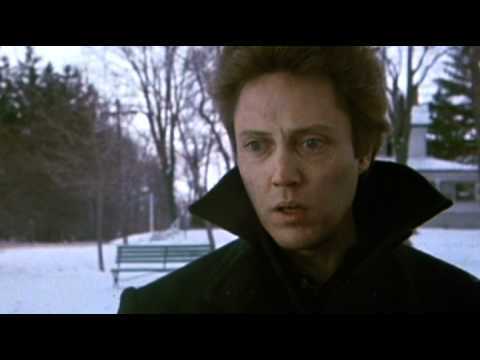 One fateful night, Johnny Smith (Walken) smashes head-on into an enormous truck. For five long years, Johnny is plunged into a deep coma. When he awakens, he discovers that his youth, his career and his fiancee Sara (Brooke Adams) have all been lost. But Johnny has gained something---extraordinary psychic powers allowing him to see visions of the past, present and future. In episode after episode, Johnny is propelled into horror-filled, supernatural experiences. Desperately, Johnny seeks seclusion, but a moral decision must be made---should he use his powers to change the future of mankind? After his car crashes in the mountains during a blinding snowstorm, famous novelist Paul Sheldon (James Caan) is "rescued" from a car crash by Annie Wilkes (Kathy Bates in an Academy Award-winning role), a fan obsessed with the main character in his series of novels. But when Wilkes reads his latest book--and learns he has killed her favorite character--she teaches Sheldon the real meaning of Misery.